For both introverts and extroverts this message can improve relationships, reduce anxiety, make people happier, and increase the level of self- and other-acceptance in the world. I’ve become much more punctual since I began selecting my outfit in advance (from my three-colour closet – an absolute introvert life-saver!) and putting it on this little valet beside my closet. I’ll fill you in on where I’ve been and what I’ve been up to in time – there’ve been ups and downs and soul searching and, I’m not going to lie to you, a LOT of Netflix and chocolate. For now, I just want to let you know I’m back at my keyboard and happy to be sharing with you little postcards from my introvert life. For the next couple of weeks I’ll be off-grid while doing an intense creative course. As you guys know, I like to go deep! This is where Google, for all its supposed clever algorithms and whatnot, really lets us down. This is where the internet as a whole has a fatal flaw. It does not search far enough. If you’re like me – feeling you need to rescue everyone and fix everything and basically save the world (where is my cape!!) – then I hope you find this quote as comforting as I do. It’s full of small indulgences that celebrate the introvert spirit and relish our delightful take on the world. These are unique Louder Minds designs that we’ve spent a lot of time and thought creating. Sign up to my weekly introvert update. No small talk, I promise. Every Friday your Weekly Update will drop *quietly* into your inbox. 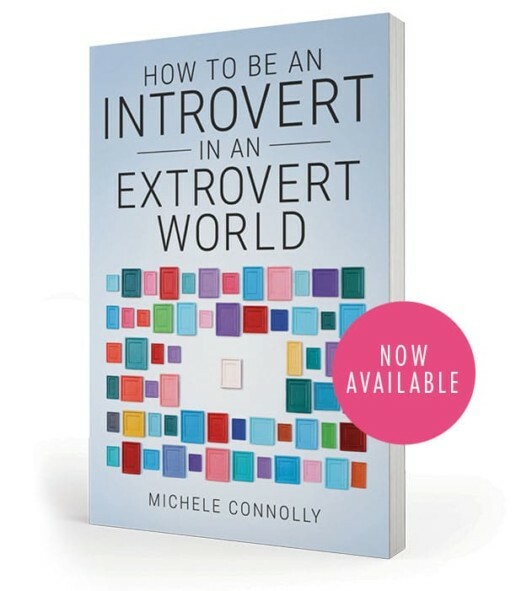 It’ll contain interesting, inspiring, and funny stuff – just for introverts. Stuff like this. Louder Minds Facebook Group is where the internet meme has become a reality. Introverts really are uniting, separately, in their own homes!